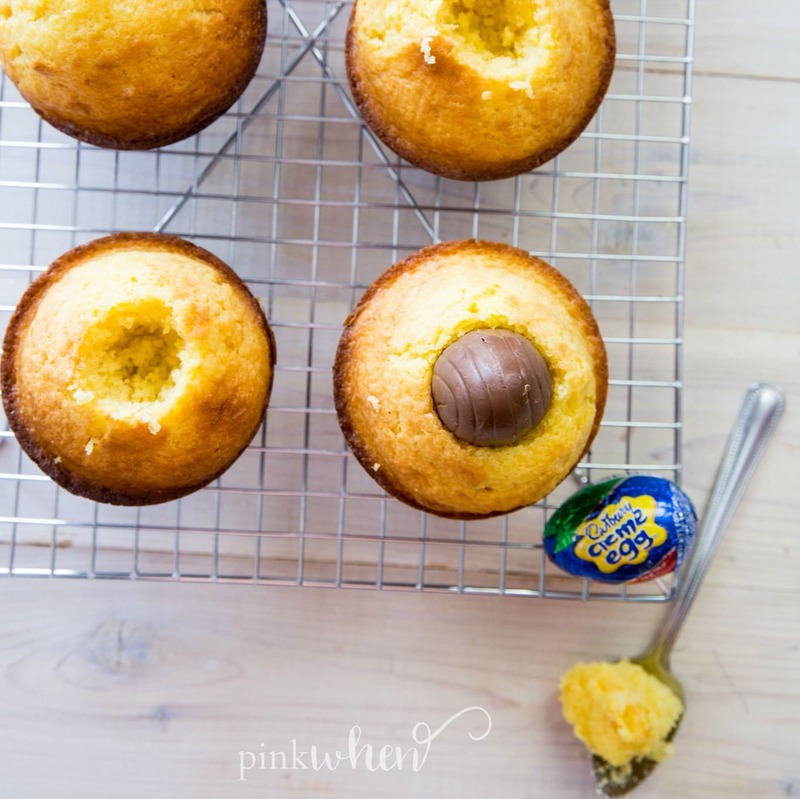 Easter cupcakes are fun, but East Cupcakes with a hidden Cadbury egg is even better! If you are looking for a fun and creative cupcake idea for the holiday, then look no further. I have been wanting to share these cupcakes for a while, so grab your mixer and let’s do this! I have fond memories growing up and celebrating Easter. My father was in the military, so we were always traveling When I was younger we lived in Germany, and Easter was such a cool time. I can still remember my white lace dress and my white Easter basket. Hunting for those eggs was always my favorite. Today I am going to share with you my favorite decadent cupcakes for Easter. 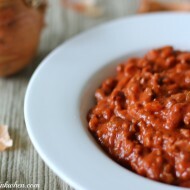 They are simple to make and everyone will enjoy eating them. If you love cupcakes with a surprise, you will love this little Easter cupcake recipe. 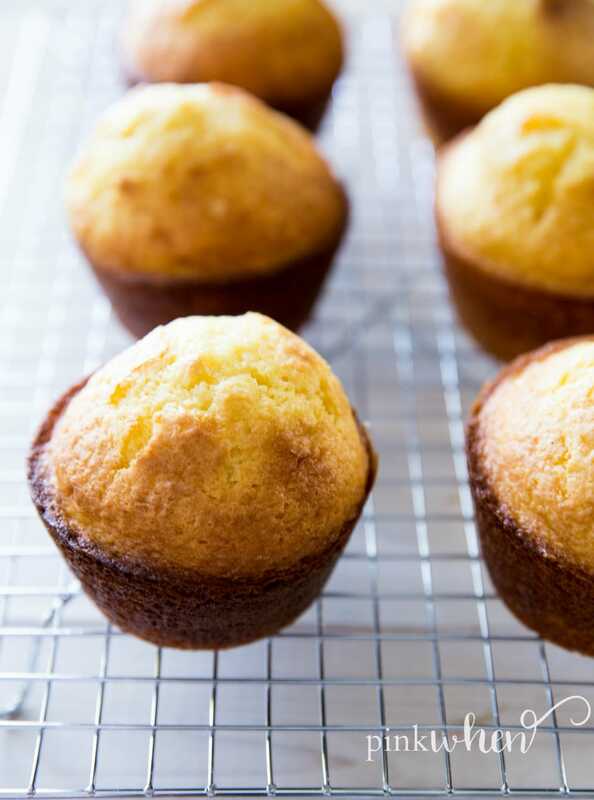 These jumbo cupcakes are seriously so easy and some of the best. 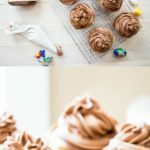 You don’t have to have anything extra special on hand other than use a regular vanilla cake mix, Cadbury eggs, and a little Nutella for the frosting. When I was younger I always remember working in the kitchen with my mom. It’s funny, because growing up I don’t really remember a lot, but I always remember spending quality time with her in the kitchen. To this day she still cooks dinners and desserts and now enlists the help of my daughters to help her. And of course, they absolutely LOVE every minute of it. Adding the Cadbury Egg is the easy part. Just core out the center of the cupcake after allowing the cupcake to fully cool. Then cover with frosting! It’s a sweet treat that’s meade even sweeter with a hidden egg. 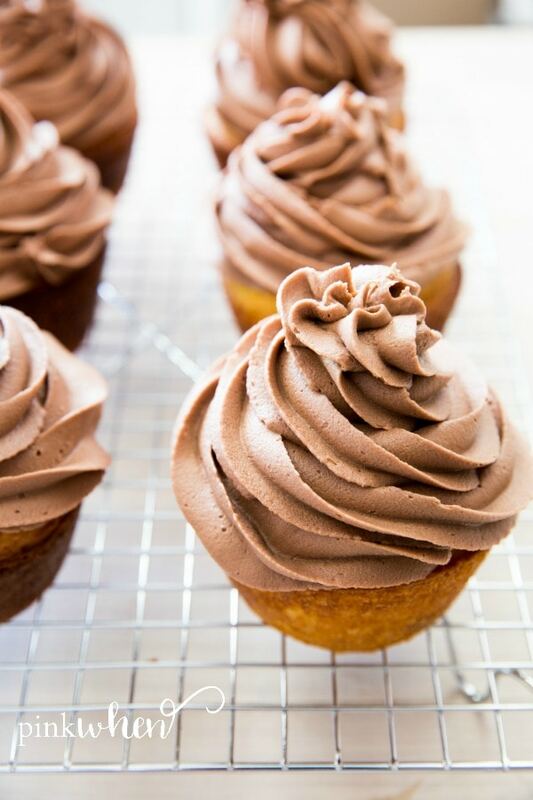 If you’ve never had Nutella Buttercream Frosting, you are in for a treat. I can’t tell you how amazing these cupcakes are going to taste. 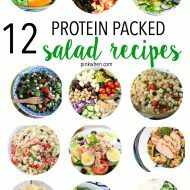 You’re just going to have to make these for yourself and tell me what you think in the comments below! 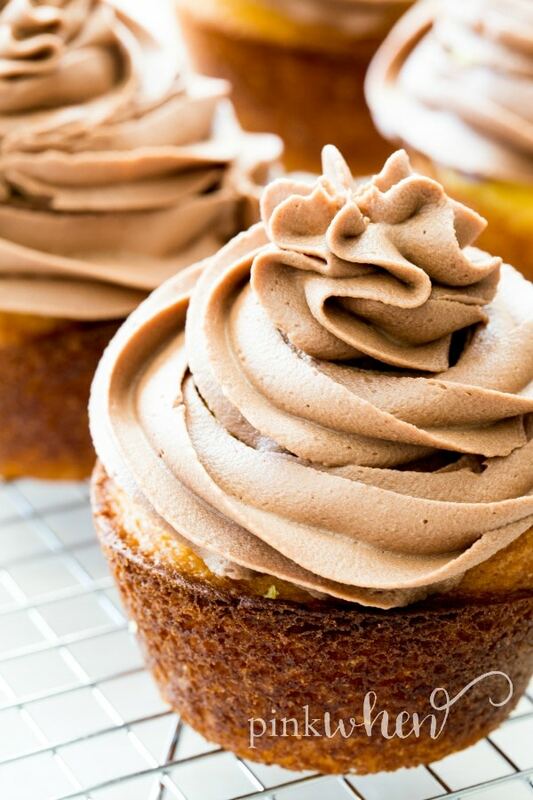 Now here is the best part of these cupcakes, the Nutella Frosting. 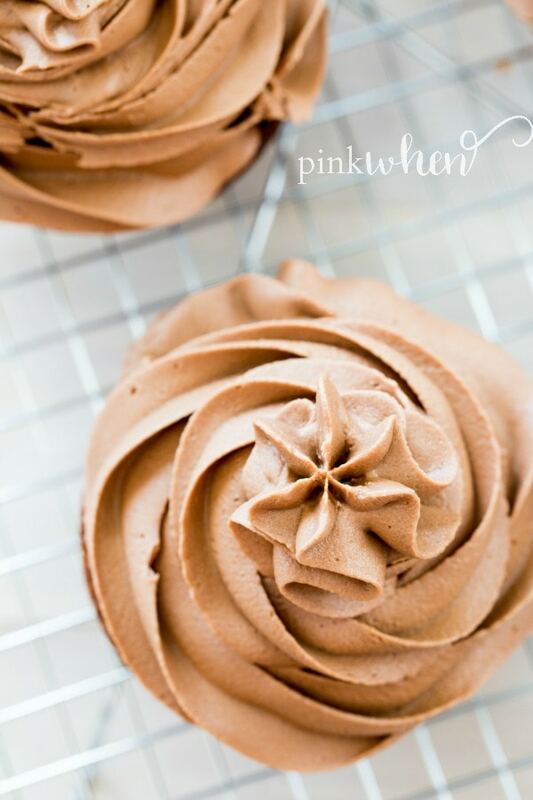 This easy Nutella Frosting will have you thinking of all kinds of different desserts that you have to use this for. Use it for cupcakes, cakes, or even create a yummy Nutella Frosting fruit dip. Either way, we’ve taken our already delicious Nutella and made it even better. 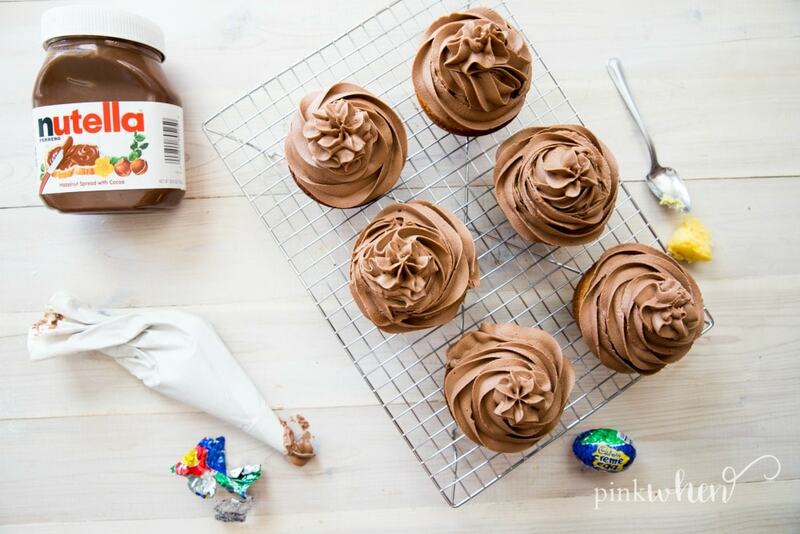 Head over here for our delicious Nutella Frosting recipe. 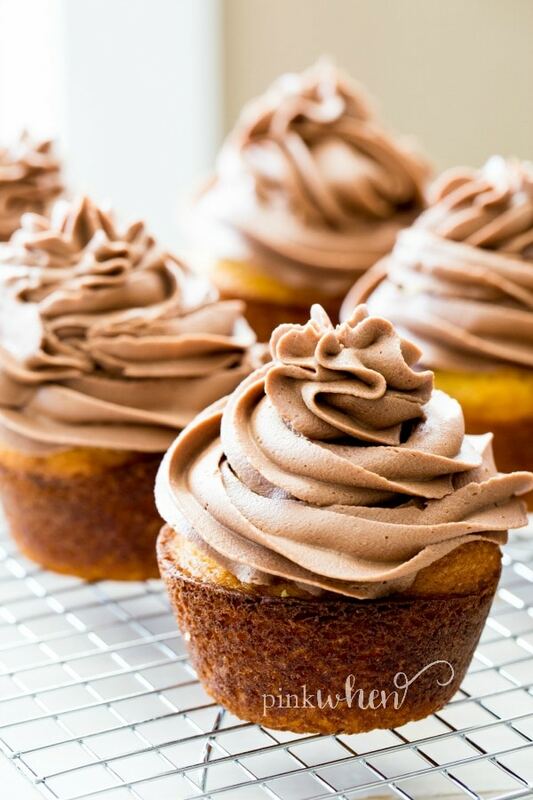 Grab your favorite little chef in the house and have them whip up these Nutella Buttercream Cupcakes with you. They will have so much fun helping you hide the eggs, and of course, licking the bowls. A quick tip for the Nutella frosting: Add the milk a little at a time until you reach your desired consistency. Don’t just start adding ingredients and mixing. Take your time and slowly add the milk as needed. Everything will just start coming together smoothly after that. I hope you enjoy these Nutella Buttercream Cupcakes as much as my family will. I am excited to make these for Easter Sunday and getting all of my little chefs to help. 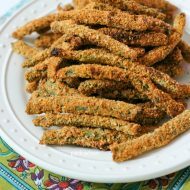 Leave a comment below if you make these and LOVE them as much as we do! 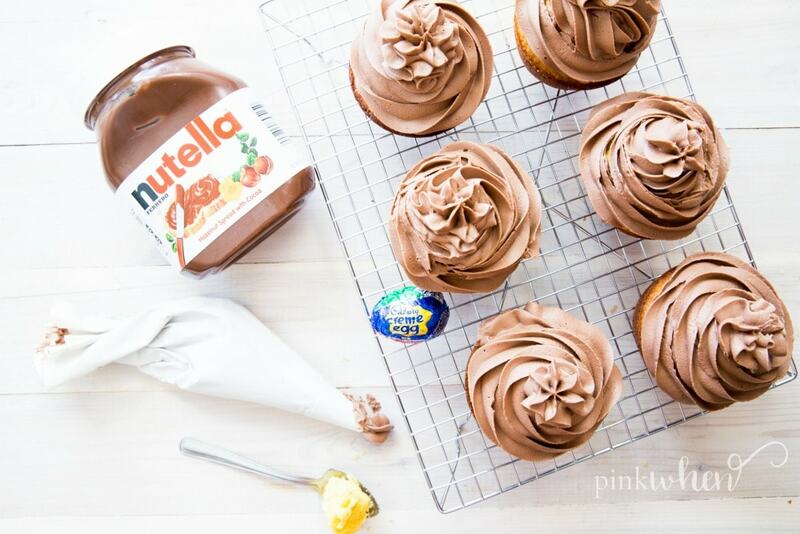 These Nutella Buttercream Cupcakes are an amazing and fun Easter treat! Grease 6 jumbo muffin tin. Combine cake mix milk, vanilla and oil. Mix till combined. 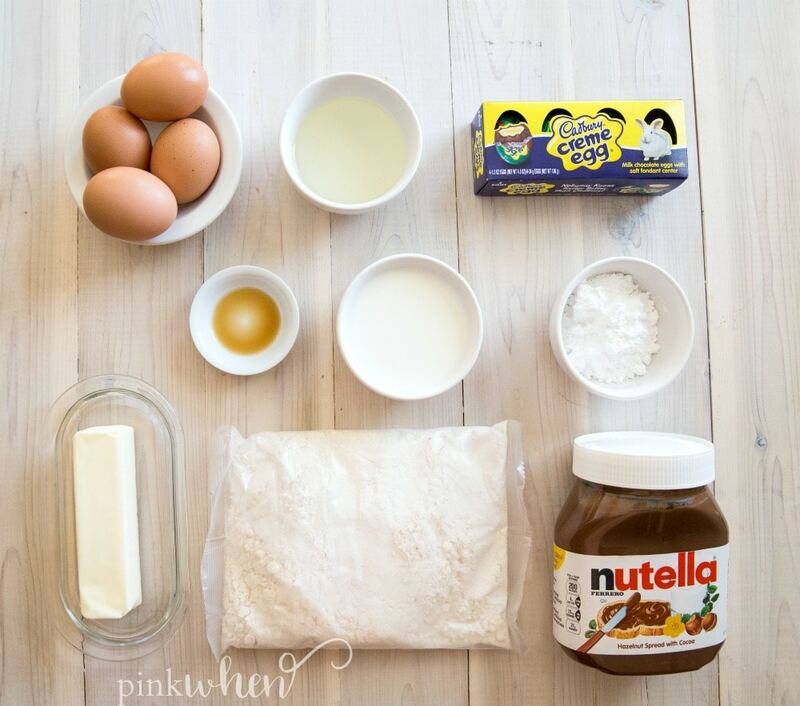 After cooking cupcakes use a spoon and cut out enough area to insert Cadbury egg. Making sure the smaller part of the egg is facing up. Frost the cupcake hiding the Cadbury egg.